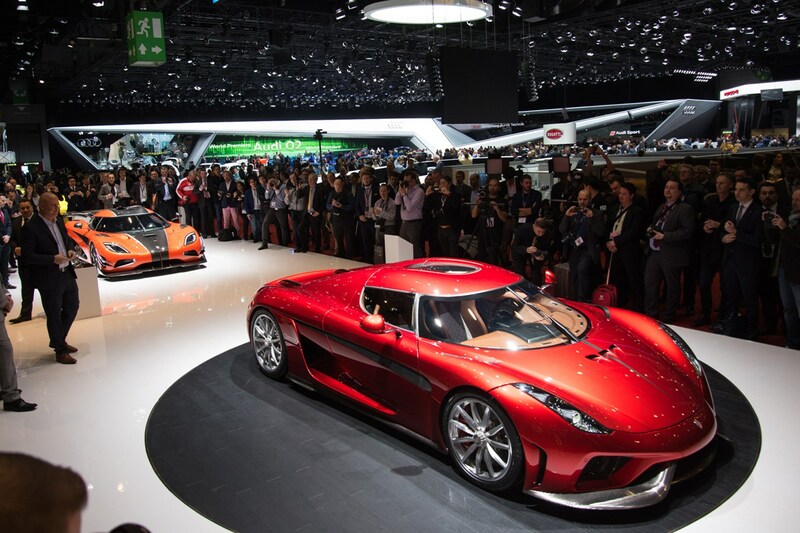 Not to be outdone by Bugatti’s new uber-Golf, the 1480bhp Chiron, Koenigsegg has launched a limited-run supercar called the Regera. The Swedish outfit’s latest 80-unit venture, which was on display at the 2016 Geneva motor show alongside the new Agera RS, aims to be ‘one of the fastest cars on the planet – around a racetrack or anywhere else’. It’s the first time two cars have been built in parallel by the company, and there are many interesting facets to the new Regera's design – but the most remarkable is its drivetrain, which does without a conventional gearbox. Further pub bragging rights come in the form of the claim that this is the fastest, most powerful production car to date. We suspect that depends largely on what you’d class a ‘production’ vehicle, but it’s clear this has at least a little potential. How much power’s it got, mister? Those coy Swedes aren’t saying exactly but the combined output from the familiar (to billionaires, anyway) dry-sumped twin-turbo 5.0 V8 and plug-in Direct Drive electronic propulsion system is “way over” 1480bhp – and torque is reputedly rated at a mildly alarming 1475lb ft. 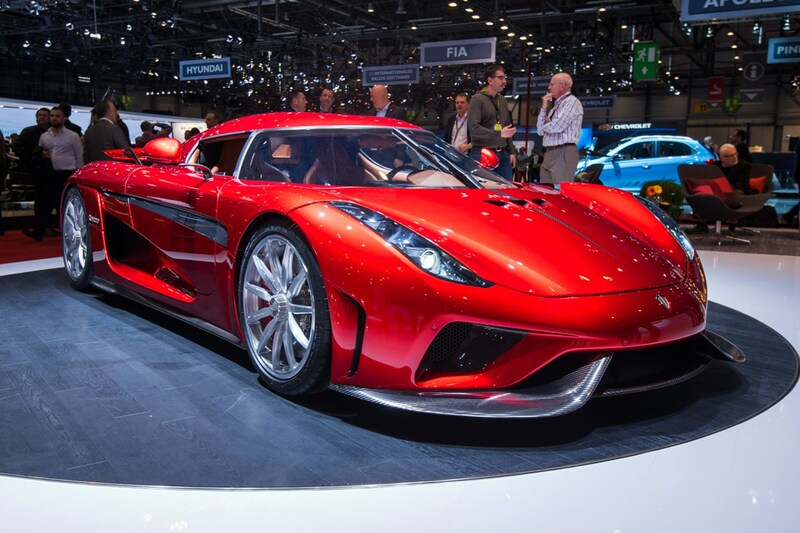 Believe it or not, the V8 has actually been detuned from the Agera RS’s 1160bhp for use in the Regera, so it should be slightly more reliable – if that’s even a thing in this market. The electronic portion features three YASA-sourced (an Abingdon-based company) electric motors: one in each rear wheel and one coupled to the crankshaft. This allows the car to deploy torque vectoring as well as directly driving the rear axle. Total electric output alone is the equivalent of 800bhp and we can only begin to imagine how brutal that feels on the road, given the performance offered by the likes of the Tesla Model S P90D. 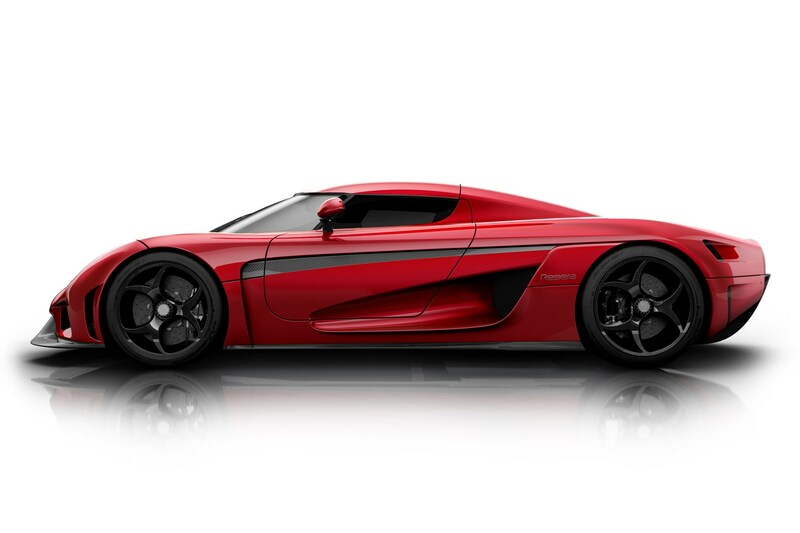 Koenigsegg claims a 0-62mph time of 2.8sec, 0-124mph in 6.6sec and 0-248mph (400kmh) in 20 seconds. Serious mid-range punch, too? You bet: the 93-155mph (150-250kmh) dash is dispatched in just 3.2 seconds. What sort of gearbox can handle that? Never mind that. 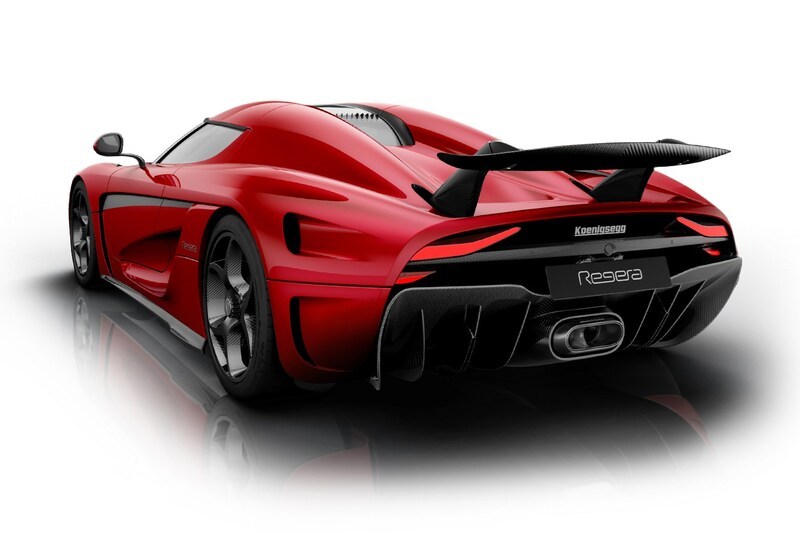 Conspicuous by its absence is any sort of conventional transmission, because the Regera features a 'clutch-slip mechanism' and a hydraulic coupling. This delivers the engine's output to the back wheels and works in conjunction with the battery of electric motors. You can read a whole lot more about it here. It's claimed to offer a 50% reduction in losses, compared to regular manual transmissions or CVTs, resulting in improved efficiency and performance. There's no step up or down, just a reputedly seamless delivery of power. Power is stored in a 115kg, 620-volt battery located in the carbon-aramid chassis tunnel. 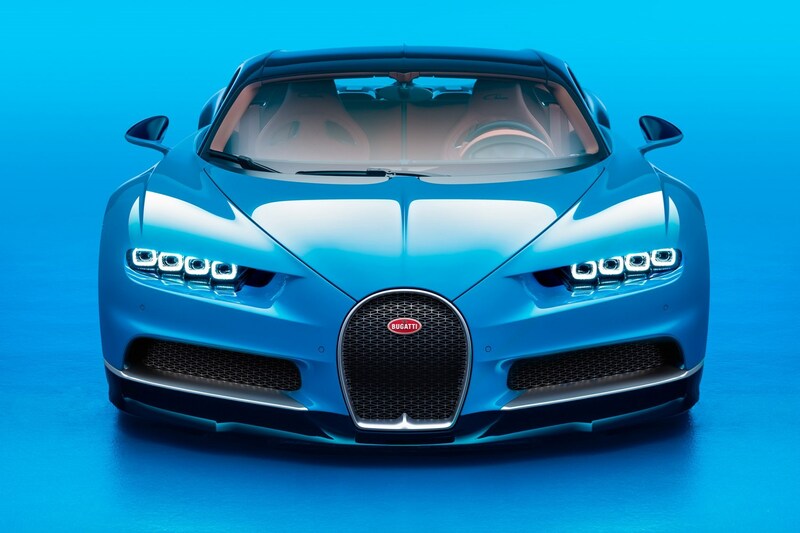 Lightweight materials along with the innovative powertrain design mean a kerbweight of 1420kg, which is less than your average Golf, and crucially it’s a huge way off Bugatti’s portly 1996kg show-stopper. 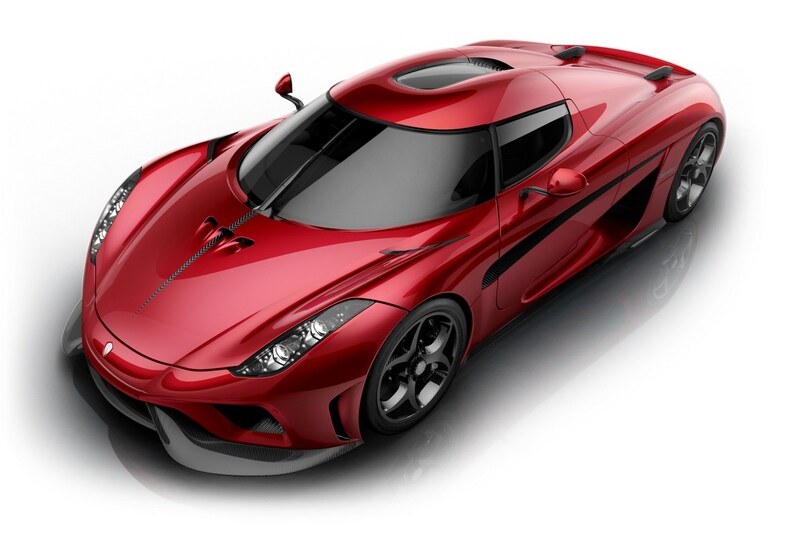 We’ve not seen a headline top speed for the Regera, but even if it’s not 261mph, we have a sneaking suspicion this will be the quicker real-world machine – especially if a corner or two is involved. To address that and keep the car on the tarmac there are several movable panels to provide genuine active aerodynamics, not least the frankly awesome folding rear wing assembly. Ride height and damping are adaptable too, and there are three traction control settings: Wet, Normal and Track. Carbon-ceramic brakes are standard, thankfully. You’ll get some luxuries as well. Apple CarPlay will feature (presumably along with a high-end speaker system), while buyers can also expect sat-nav, six-way adjustable carbonfibre sports seats, climate control and robotized soft-closing hoods and doors.